Restaurant owners are always looking for more ways to feature their dishes. That is why their marketing does not stop at distributing flyers, putting up banner templates, and advertising online. 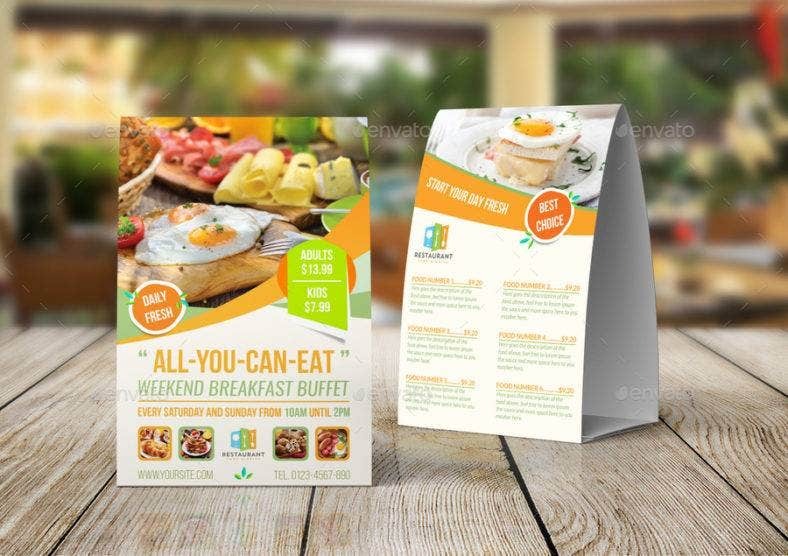 Even when at the dining table, customers can still look for more information about the restaurant through tent cards. 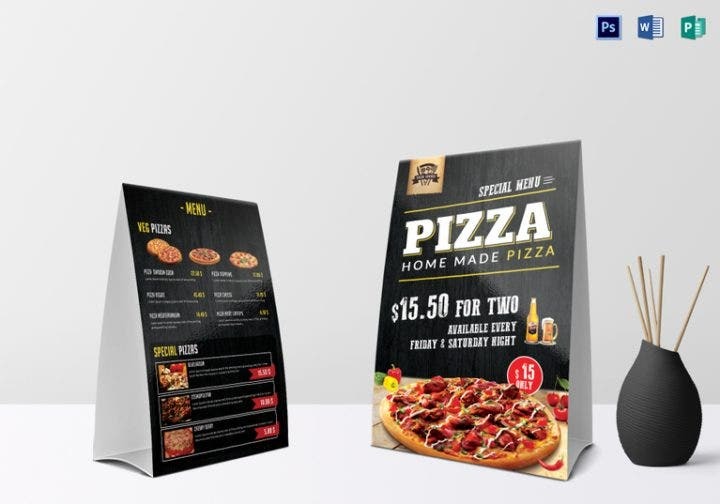 They are easy-to-read and eye-catching, so they are really hard to miss.You may also see Beautiful Table Tent Mockups. But, first, what are tent cards? 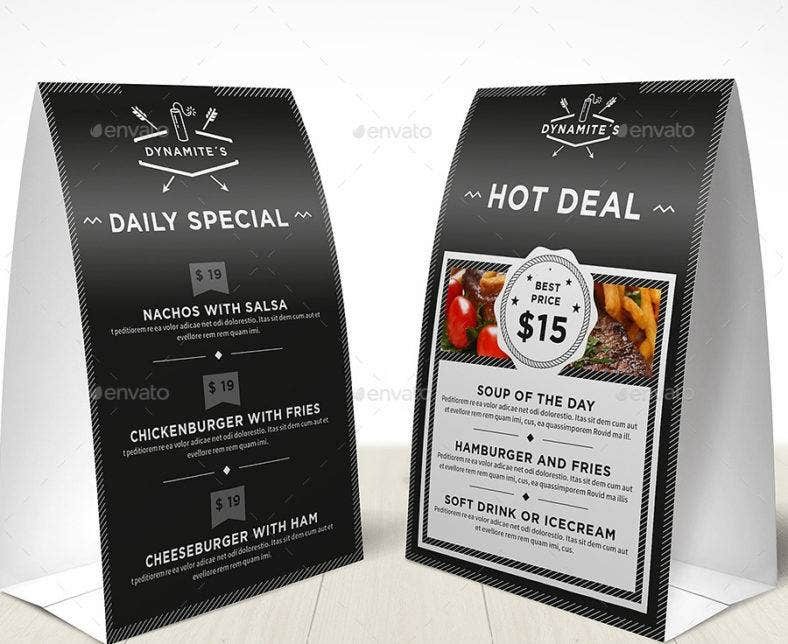 Tent cards are triangular table displays that you usually see when a restaurant promotes special offers or promos that customers might be interested in. The promos need not be new products as they could also be old ones. 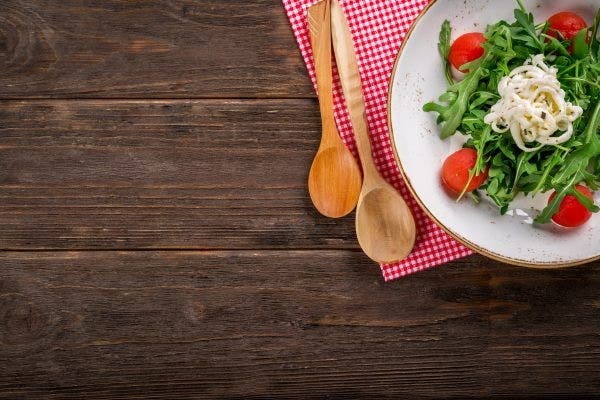 It depends on the strategy template of the restaurant as to what product they want to sell more. 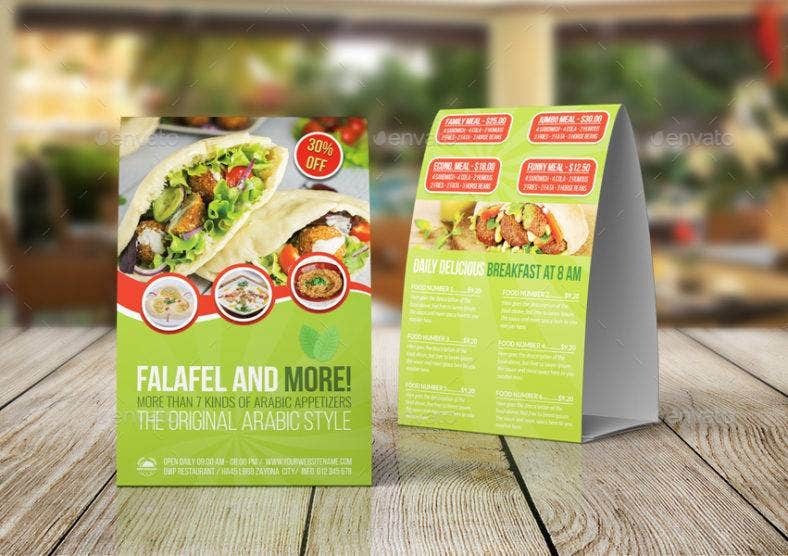 These tent cards are typically designed to capture the attention of the customers and serve as browsing materials while the customers wait for their meal to be served.You may also see Elegant Wedding Table Card Templates. These tent cards contain information that might help the customers get to know the restaurant better. The cards can feature details like the history of the restaurant, any unusual ingredients, etc. 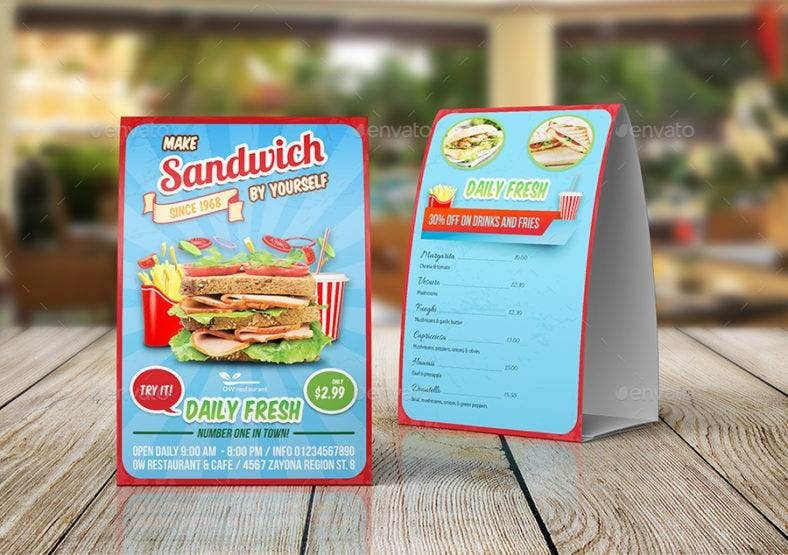 Any information can be showcased as long as it is interesting enough to entertain the customers.You may also see Menu Template. How will this help your restaurant? Tent cards are more helpful than you think. They can promote special offers or promos and upsell more than what a normal menu can do. 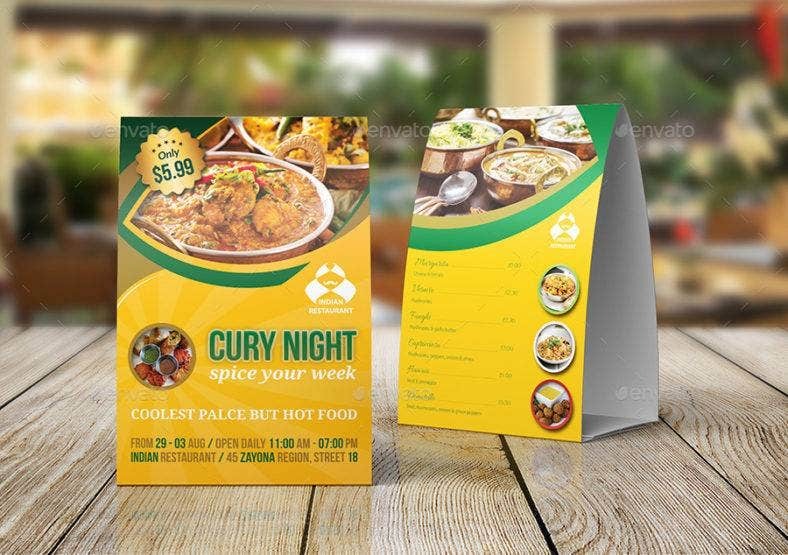 That is why they can serve as the most powerful complements to the menu design templates. We have created a list to inform you of the various benefits that you will get when you use tent card templates. You may also see Free Card Designs or Thank You Cards. Promos and specials are always attention-grabbing. 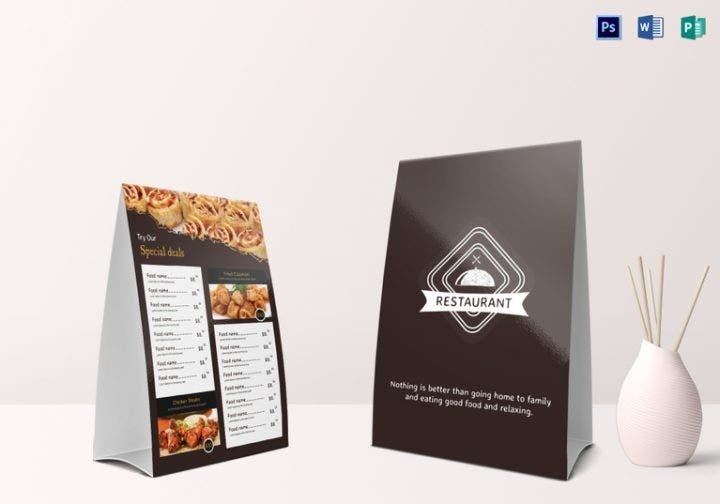 Be it family specials or new creations, table tents are the way to go to highlight them. Create a convincing deal that would satisfy the customers so they will be encouraged to take it. You may also see Invitation Card Designs. 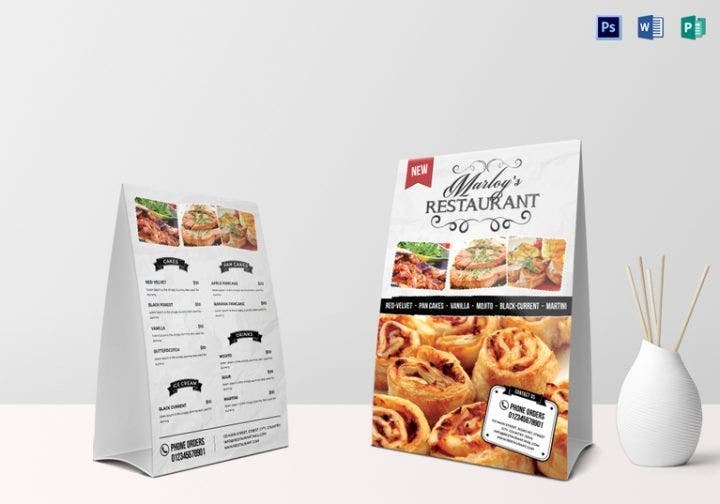 With the hypnotizing images of desserts and mouthwatering dishes, table tents are known to make the customers drool even before they start ordering food. 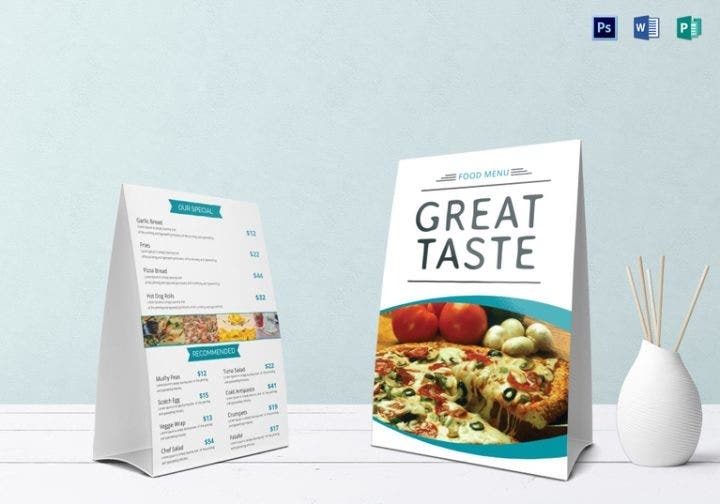 Sometimes, before they pick up the menu, they look at the table tents first; that is why table tents often have dishes on one side and drinks on the other. If you think the drinks menu, desserts menu, and dishes are the only upsell items that you can feature in table tents, then you are mistaken. You can also feature t-shirt designs, bags, mugs, and other merchandise that can help increase your sales. You may also see card examples. Some restaurants offer catering services or host events. If you have special events hosted by your restaurant, or in partnership with different brands, featuring those events in the tent cards is the way to go. It provides enough exposure to let customers know of the upcoming events and offered services. Who knows? They might get interested and join the event, or they might even avail of the services contract. You may also see contact card templates. Creating tent cards is easier said than done. There are a lot of things to consider before you can say that a tent card is ready to be placed on a table. 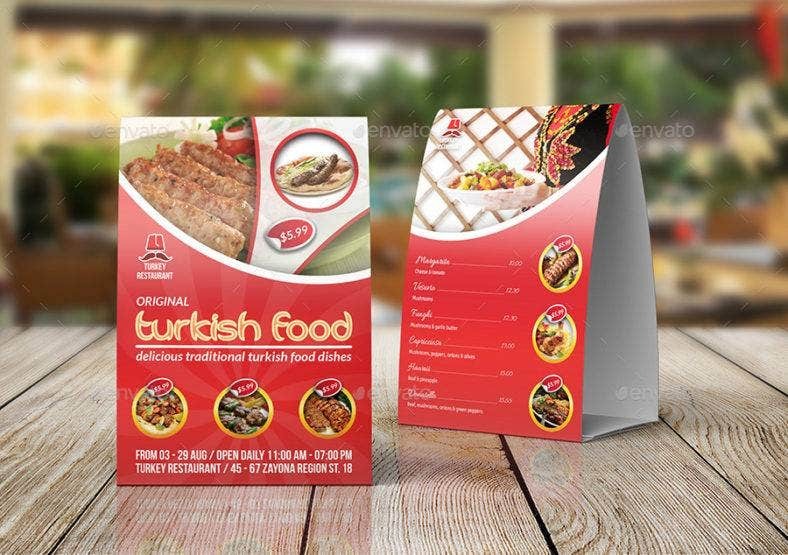 Take note of these tips in order to fully utilize the power of tent card templates. Sometimes, tent cards can become quite messy from covering a lot of ground, and they can confuse the customers. Focus only on one promotion so they will have a clear idea of what is currently available. It is best for both you and your customers to have a mutual understanding of what promos are being offered. Also, if you have different specials on separate days of the week, you can use these tent cards to feature each special on a certain day. Do not cramp all your specials in one day; let each one of them get a spotlight on different days. 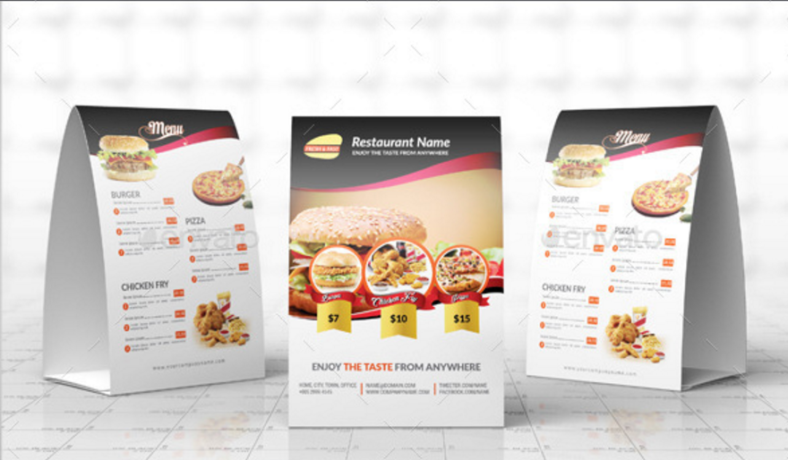 That way, there is enough exposure given to a certain special and it will also give customers the opportunity to savor each of them.You may also see Visiting Card Template. You may also see thank you cards. Was putting up your restaurant an interesting and adventurous experience just like Sinbad’s journey through the seven seas? Do you have a heart-wrenching story that will force the tears out from every reader’s eyes? Were all your struggles full of humor and fun that it will leave a smile on your customer’s face? This is the time to release the inner creative writer that you have suppressed for so long! Chase your customers’ boredom away by writing an entertaining story about your restaurant’s history. Write about your humble beginnings, the right and wrong turns, and the ups and downs of your life. Weave them all into one enthralling story that will leave your customers admiring your hard work and dedication even more. Do you have a special drink that you want your customers to try? Tell them all about it by featuring it on your tent card. Design your tent card with splashes of colors that will complement the drink that you are featuring. If you have a happy hour, advertise it for your customer’s future reference. It is a great marketing strategy that will definitely get you your target sales.You may also see Card Designs. Originality matters. Get inspiration from other designs, but you have to make sure that you create your own identity. The design does not have to be extravagant or different to be called unique. Sometimes, it only takes a bit of reflection about your vision for your restaurant to finally come up with a unique and original concept. If you really cannot find something original, you can always try to reinvent things. Spice up your concept by changing the little details because they matter when you look at the overall perspective. Try to be inventive and experimental. 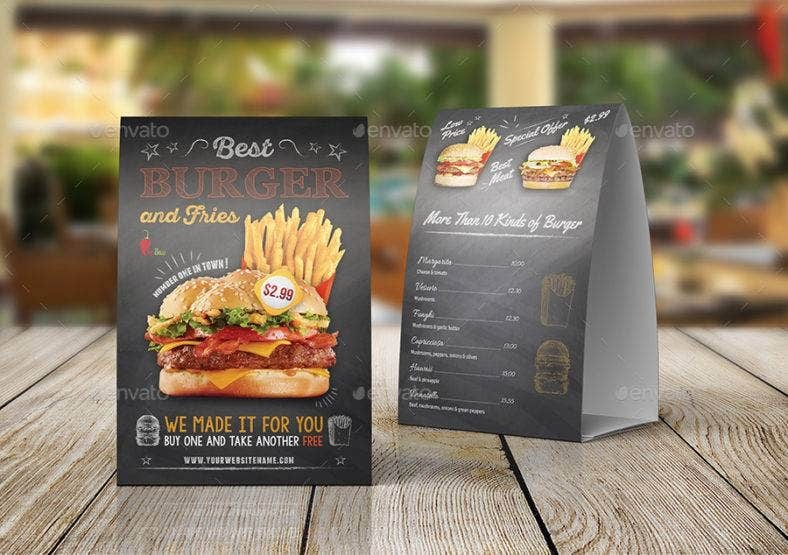 Create an identity that will perfectly represent your restaurant’s branding. Aside from being original, it would also help your tent cards to gain attention if they would be filled with colors, but just do not overdo it. An explosion of color could overwhelm the eyes of those who look at them. Complementary colors are probably the most captivating and most common combinations of colors used to lure in people’s gazes. Choose your colors correctly. Get those scissors ready because you will be doing some arts and crafts templates! Cutouts can quite literally stand out as they will most probably overlap with the tent cards. You can also create visually pleasing figures that could make illusions when seen from different angles. It is important to create strategies to attract more customers and upsell products. Careful planning is all it would take to boost your return on investment significantly. Read on and remember these strategies to get your restaurant going.You may also see Personalized Thank You Cards. Do you know your audience’s disposition? In restaurants, you should know the type of customers who are going in and out of your establishment. It is important to know what offer appeals more to which type of audience. Carefully observe your customer analysis so you would know how to approach and serve them. The better you know, the better you sell. You may also see Dinner Menu Templates. It is easy to feature an attraction, food item, product, or service than it is to sell them. 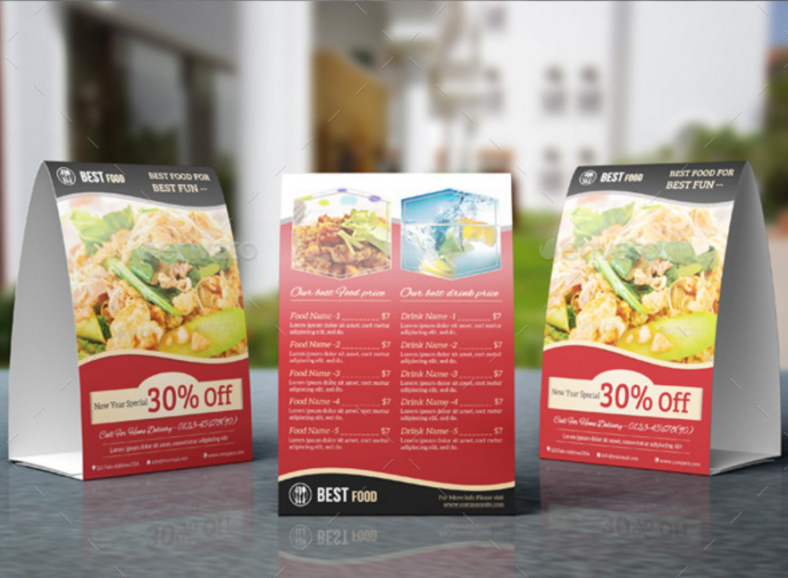 Create an enticing offer that would make your customers want to actually buy them and you can measure your audience’s response to coupons so you would know which promo they are most inclined to buy.You may also see Elegant Dinner Menu Designs. 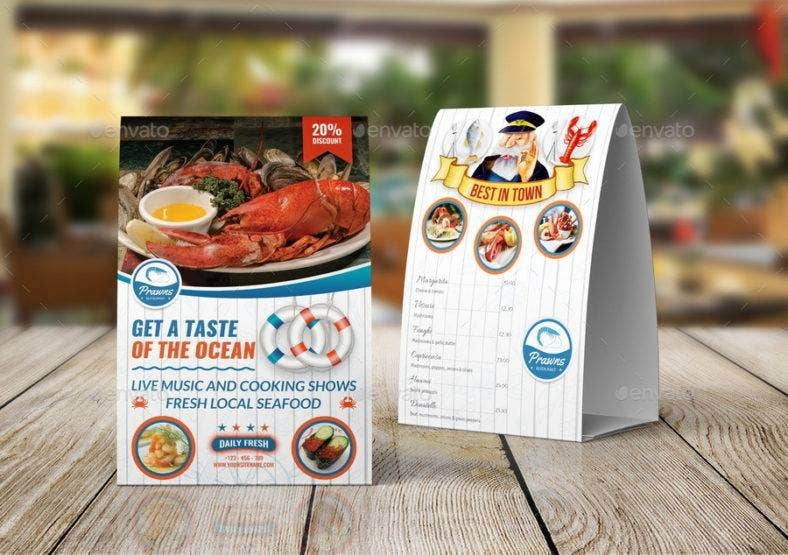 Creatively design tent cards that would lure in the eyes of customers. It might be quite laborious as you need to handpick designs or create your own if you want more freedom. 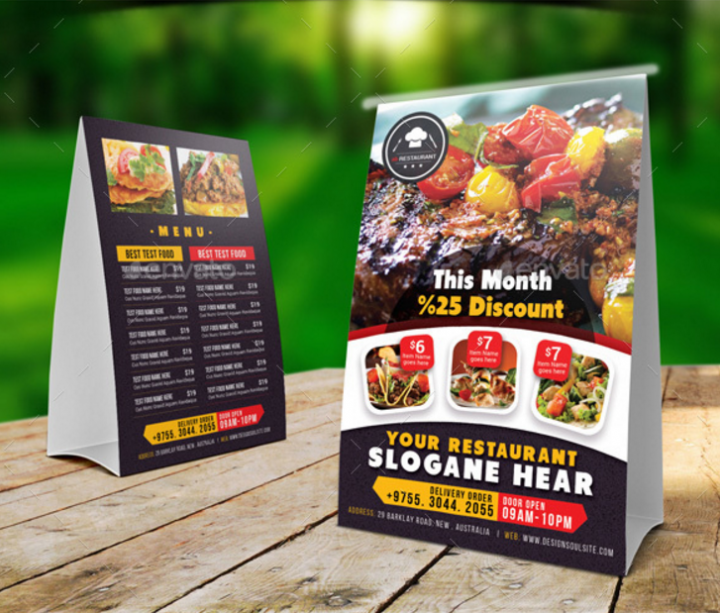 Create alluring designs that will tempt your customers into reading your tent cards.You may also see Restaurant Invitation Cards. There are a lot of ways to design tent cards and market them. There are also things to consider to fully exploit the power of tent cards. You could follow what we have listed here, but you also have the freedom to do things your way. 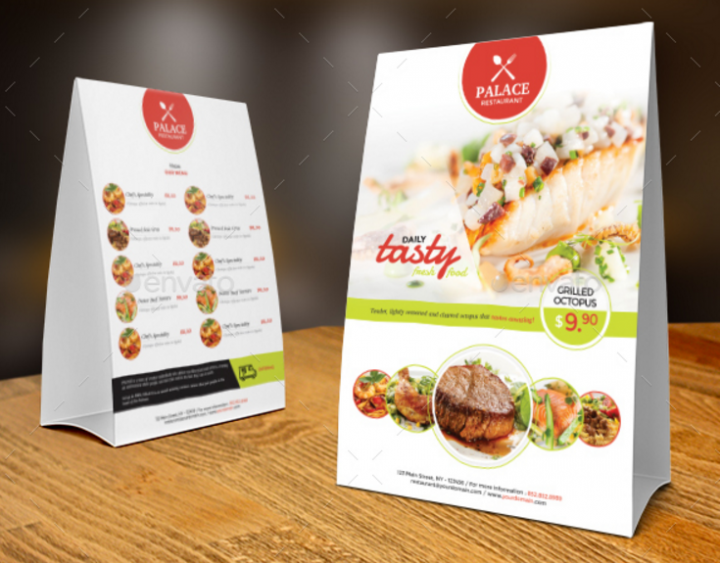 Choose a design that will help you create your restaurant’s identity; it should be attractive enough to grab people’s interest. We hope you had a wonderful time looking at the tent cards featured in this article! 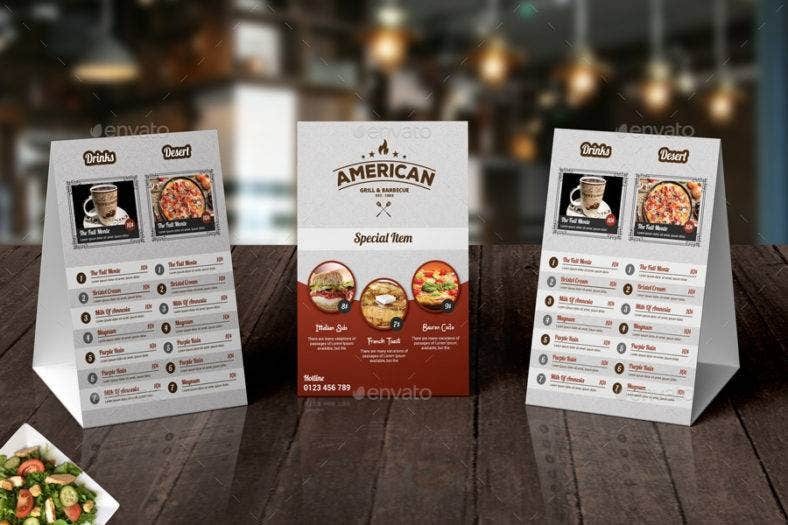 You may also see Creative Restaurant Business Card. 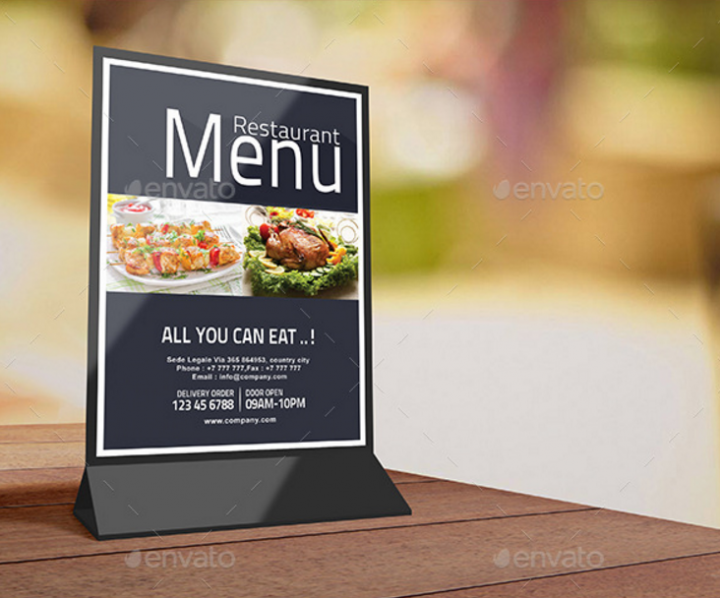 For other articles pertaining to restaurants or graphic designs, check out the rest of our site!